Between DreamHack and the beginning of GSL Season 3, Starcraft II fans have plenty to be thankful for this Thanksgiving. Read on to find the matches you can't miss, and get to know Greg "IdrA" Fields from Evil Geniuses a little better. The last open season of the GSL is upon us, and the round of 64 has plenty of awesome players to watch. Matches start at 7pm on Monday, November 22 (Korean Standard Time), and you can stream them for free from gomtv.net. They're also selling the season pass for $20, which gets you access to a high quality live stream and season 3's video-on-demand matches. Broadcasts are happening at 1pm and 7pm KST every day but the first, so you're practically guaranteed to get some high-quality Starcraft streaming no matter which session you catch. In European news, the DreamHack SteelSeries LAN tournament is next weekend (November 26th), and will be streamed for free by Sean "Day" Plott from his UStream channel. 32 players will be competing for a grand prize of $14,500 plus an EIZO FS2331 monitor, a Sapphire HD 5870 2GB graphics card, and a high-end Sapphire motherboard and power supply. Of course, taking the top spot in this 32-man bracket won't come easy. Notable players include Dario "TheLittleOne" Wunsch, Tyler "LiquidTyler" Wasieleski, Greg "IdrA" Fields, Aleksey "White-Ra" Krupnyk, and Dmytro "Dimaga" Filipchuk, though there's eight spots left open for qualifiers from the bring-your-own-computer event as well. If you don't catch the stream, don't worry--we'll bring you the best replays from the tournament. 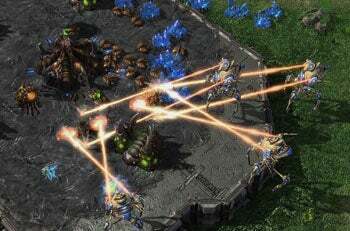 Team Evil Geniuses' Greg "IdrA" Fields made waves in the mid-2000s Starcraft: Brood War scene by being one of the few American players able to hang on the Korean scene, including a stint with professional teams eSTRO and CJ Entus. His reputation for impeccable macro-heavy Zerg play is matched only by his utter disdain for early game "cheese" tactics and his withering trash talk. How long have you been training in Korea? Is this your full-time job? Yes, it is my full time job and has been for a little over two and a half years now. What does a typical day in the life of Greg Fields look like? It's pretty variable right now. Life has been kind of hectic since I've gone to the last two MLG events as well as participating in GSL, so I've been out of the country a lot. On a normal day I wake up around 10-11, shower and eat and whatnot, then practice until early afternoon. Most of the time I'll go out and get lunch with (American GSL commentators) Artosis and Tasteless at that point and we'll hang out until they have to leave to cast GSL, then I'll head back home and practice till I sleep, unless I go out with friends. How does the budding American pro scene compare to the level of Korean players? The disparity is much smaller than it was in Starcraft 1 but the Koreans are already pulling ahead by quite a bit. There are some very good American players and MLG has been doing an awesome job so far but nothing can really compare with the scale of the GSL and the dedication of the Korean players. That could change in the future as more and more foreign players start moving out here to train full time, though. You've qualified for the 3rd season of the GSL. What have you been working since losing in GSL 2? Just general practice, I spent a bit over a week in the US for MLG Dallas so I'm just now starting to settle down into a regular practice schedule, but I've revamped my Zerg vs. Protoss a bit and worked on my Zerg vs. Zerg a lot. Both GSL winners so far have been Zerg players, and Zerg players are qualifying in droves for GSL 3. Have the recent balance changes been too successful, or are Zerg players getting better? Both winners being Zerg is just coincidence. FruitDealer was an excellent player who ran really well and has said himself he got kind of lucky. Nestea had a bracket that was mostly Zerg vs. Zergs or mediocre Terrans who cheesed him and failed. Given time for the game to settle down Zerg will be underpowered if anything, especially with the advent of the 2-Barracks builds in Terran vs. Zerg. Right now you just have a lot of Protoss and Terran players whose results were inflated by the previous patches, and are now failing because they lost that crutch. So Zerg players appear to be having too much success relatively, but once Terran and Protoss players figure out the new state of the game, they'll do just fine. Zenio qualified as well. What's your gameplan if you get a rematch? Just to be prepared for all-in plays, play more safe and standard builds. Last time I went into the match feeling like I had to do something special to beat him, I was mistaken there. A lot of fans were surprised to see you knocked out of MLG Dallas relatively early. What would you do differently against Nazgul's Blink Stalkers and SeleCT's early Marine/Bunker play? Well against the Blink Stalker play you just have to play the way I did on Scrap Station--a sufficient number of Speedlings and Spine Crawlers while rushing to Hydralisk will deal with it just fine. The problem that match was Kulas Ravine. It's too hard to defend early on that map to rush to Hydralisks, and all the cliffs make Blink Stalkers even better. I don't really know how to beat the build on that specific map. Against the Marine/Bunker play I've since found that you cannot get your second Hatchery before your Spawning Pool against Terran, because it's just impossible to defend the 2-Barracks Bunker play with it. Even with a Speedling opening its difficult to defend since they hit a critical mass of marines before Zergling Speed finishes, and they can build a Bunker below your ramp with it. It's just a very powerful rush and you have to play really defensively to deal with it. Fill in the blank: I can't believe Blizzard hasn't _______ yet. That's it for today's eSports Update! Don't forget to read last week's interview with EG.Machine if you haven't already.